CIBANK JSC is a leading commercial bank in Bulgaria with an extensive nation-wide branch network, with a modern banking approach and a wide range of products and services for individuals, corporate clients and SMEs. CIBANK has been part of the Belgian bancassurance group - KBC since the end of 2007. The integration of CIBANK JSC within the structures of KBC Group together with DZI allows good partnership between both companies and an innovative approach in offering bancassurance products that are new for the Bulgarian market. CIBANK has been successfully operating on the Bulgarian market for 17 years. The Bank was established in 1994 and registered in 1995 as BULGARIAN - RUSSIAN INVESTMENT BANK AD and it was one of the first international financial and investment institutions in Bulgaria. In 2000 BRIBANK AD signed a contract for the purchase of the business enterprise of Economic Bank /Stopanska Banka/ (in bankruptcy). As a result, the Bank doubled its volume of assets and ranked among the 10 largest banks in Bulgaria (in terms of assets). Later that year the Bank was renamed to Economic and Investment Bank PLC with decision by the Sofia City Court. In 2007, the Belgian KBC Group acquired 80% stake in EIBANK PLC. Economic and Investment Bank PLC was re-registered as CIBANK PLC in December 2008. In December 2010, KBC Group acquired the remaining shares of CIBANK PLC, thereby becoming the sole shareholder in the Bank. In late December 2010 the Bulgarian Financial Supervision Commission approved the deletion of the bank from the Public Companies Register and from the Bulgarian Stock Exchange. CIBANK JSC holds a full banking license. It operates as a licensed investment intermediary performing all kinds of activities specified in the Credit Institutions Act, all kinds of banking transactions and offers its clients a full range of modern banking and financial services and products. 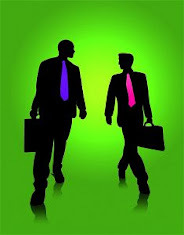 partner worden van Belgian Bulgarian Partners? Likes voor uw facebook page? 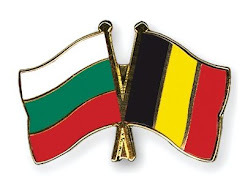 Belgian Bulgarian Partners at your service! Hoe vind ik een zakenpartner in Bulgarije? Hoe een limosa aangifte doen?